The hypersensitive fraction of the population frequently feels like the world is crashing down on their shoulders. They don’t want to succumb to this pressure, but they can’t seem to operate under the strain of societal principles. 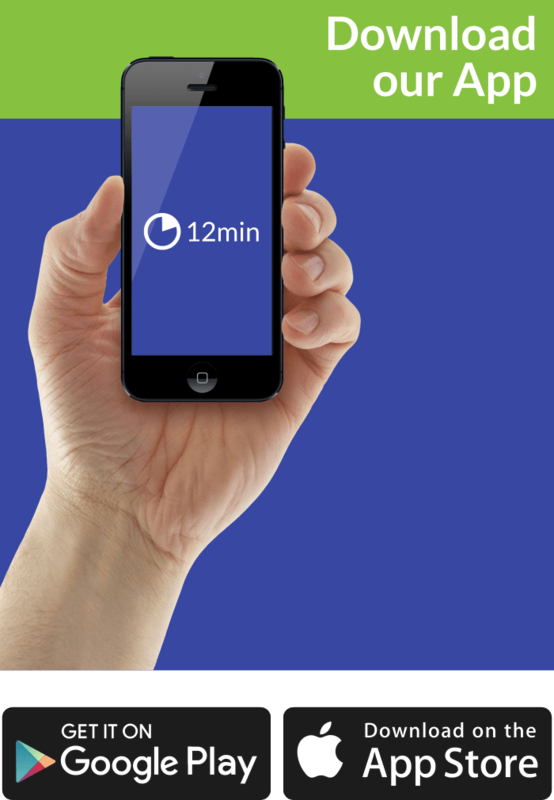 It’s a struggle they like to win, and Elaine is willing to lay out some actionable tips. 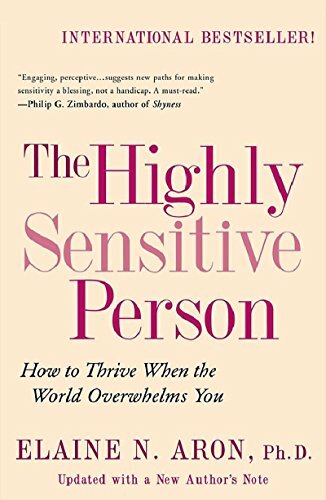 Who Should Read “The Highly Sensitive Person”? And Why? Well, you got it all wrong if you think highly of yourself and feel like being a lumberjack excludes you from absorbing the utility of this book. Perhaps, we should put it in layman’s terms! In our humble opinion, “The Highly Sensitive Person” is an astonishing book that lifts the veils on the behavior of a certain group of people. Therefore, we believe it will mostly fit those who struggle to maintain composure due to hypersensitivity. Elaine N. Aron is a psychologist born on November 1st, 1944 in the US. She earned her M.A. in clinical psychology from York University. 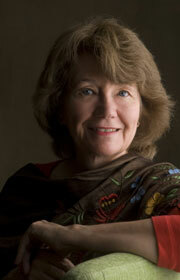 Elaine is also lauded as an author whose books have sold millions of copies. Do you fall in the highly sensitive category? When highly sensitive people (HSPs) share some intimate details about love and relationship-building as a whole – that somehow foreshadows acceptance. In general, they care for their partners dearly and feel no hesitation to convey their feelings and sometimes even plunge into soul-shaking encounters. All being said, no one marginalizes the non-HSPs, as we are just indicating that HSPs, are more prone to certain behavioral patterns. In a study conducted by a renowned psychologist, John Gottman, you can find some astonishing numbers regarding the conflicts couples have and end up unresolved. He found out that approximately 70% of all quarrels are unsolvable, and the same percentage applies to both happy and unhappy couples. This explains why you should at least give the benefit of the doubt prior to jumping into conclusions. High sensitivity is, in fact, an inherent feature and depicts profound proclivity for making certain moves. HSPs unlike its counterparts, exert themselves in nurturing a close and intimate connection with people from their closest circle. As avid dreamers, their understanding of the unconscious eclipses the stigma attached to socially-accepted patterns. This gives new impetus for comprehending unconscious impulses that may emerge. When it comes to cultural patterns, not every culture favors HSPs. As a matter of fact, the more aggressive one social group is, the more it’ll need an entirely different approach toward survival. In this chapter, the author puts emphasis on love and the way you can protect it through right actions. If you want to ensure that you can make headway in this process, you have to get a bird’s eye view of gender stereotypes. Next up, one must dive deep into the close relationship men and women form, and find the subtle reasons which might hamper the profundity. Let’s look it through the lens of history. Throughout the ages, women were somehow pressured to look physically appealing to men as a way of forming a family. In recent years, women were also told to act with respect and adopt ethical habits in the pursuit of achieving their personal and professional goals. Nonetheless, being attractive remains their personal priority. In the digital age, HSPs can prosper in almost every regard since gender roles are brought to its minimum. In other words, you are allowed to excel at anything without being subjected to societal pressure. Love-shyness is a term conceived by sociologist Brian Gilmartin, who has found out that a significant fraction of heterosexual men crave for establishing intimate relationships but fail to do so. The truth is, the biggest threat to HSMs (Highly Sensitive Men) are not non-HSMs but the lack of male role models – fathers. In order to reciprocate for these cons, HSPs often turn over to a full-scale alteration by developing into a Superman or Superwoman. Indeed, HSPs are naturally inclined to have this sense of discomfort when it comes to intimacy. This also induces a risk-free attitude or advocates for absorbing acts that contain minimum insecurities. Intimacy and friendship often demand more openness and thus it is vital to lower your guard down. Sometimes, it may well end up in a fizzle – such as loss, cheating, betrayal, quarrel, etc. Elaine N. Aron tries to enlighten its readers by laying all the cards on the table from where we can scrutinize all aspects of establishing close and intimate relationships. Being authentic, revealing to another your most private and true-at-this-moment self— thoughts, feelings, bodily self. In return, the other reveals his or her true self to you. Why do we have this need for closeness? It’s partly because we were born someone took care of us. It’s not like we did it all on our own – that’s why we have this need for love and confidentiality. Even as adults we prefer of having someone close by our side to whom we can say anything and expect comforting words. Love is a set of attitudes, feelings, and behaviors associated with the desire to enter and maintain an intimate relationship with a particular other person. Sometimes, we don’t even want to engage in serious relationships, and there are some things you can do to avoid falling in love. Try not to express intimacy, avoid giving romantic cues, stay away from people who are clearly interested in that kind of relationships, etc. Mismatches existing in behavior and temperament can sometimes be compensated with a great dose of flexibility. At a given point, the greatest problem among these two groups would be the idea of maintaining close intimacy. One cannot simply contend with one outcome or the other – we must advocate for a critical overview of the pros and cons. Furthermore, Elaine pinpoints in her research that many HSPs prefer or are in close relationships with partners who can be portrayed as non-HSPs. Nonetheless, the main misunderstanding occurs when these individuals are believed to be insensitive. The truth is – they are only less sensitive than the HSPs. When the relationship is composed of two HSPs, then the probability of negative emotions reaching an overwhelming level is a bit higher. So basically, one must not take for granted any potential outcome. This lesson doesn’t solely reflect the position of HSPs, as we try to portray all people as individuals whose “prison” is self-induced. Try to act in your best interest by confronting your restricted mindset and discover new heights. People in this position are depicted as underdogs and feel like being pushed around by a more secure fraction of their group. This doesn’t have to be the case if you are aware of these inclinations and tendencies. Well, this seems a bit vague! What does it mean to understand your status? It simply implies that you must discern traits which may hamper your soar on any level. Beware of external obstacles which could pose a potential threat. Your only job is to take necessary precautions. You probably have realized by now, but we are not clinical psychologists, and we have to take Elaine’s word for everything said in here. It is of immense value that the theory about the harmful effects of hypersensitivity is debunked and every outcome has its good and bad sides.